2016 was an important year in the fight against plastic microbeads and other microplastics in personal care products. Many countries have introduced a ban or are about to. 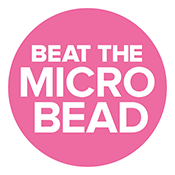 That is why the theme of the Politics Plume this year is the international fight against the microbead. Without this fight, it would be unthinkable for the new Prime Minister of Great Britain, Theresa May, to have made the following statement, as she recently did, in the British parliament: ‘Microbeads clearly have an impact on marine life’. Vote for your favorite politician here!